Chamomile (Blue) essential oil has an intense, sweet aroma with herbaceous top notes and fruity, slightly bitter undertones. 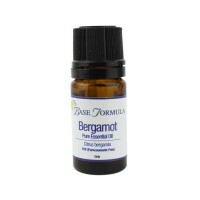 Chamomile oil is excellent for treating inflammation and is also useful for skin allergies such as eczema. Chamomile (Blue) essential oil, also known as German Chamomile, is one of the best aromatherapy oils (alongside Yarrow) for treating inflammation. It has a high 'chamazulene' content, an active organic compound produced during the distillation process, that gives the oil its deep, inky-blue colour. 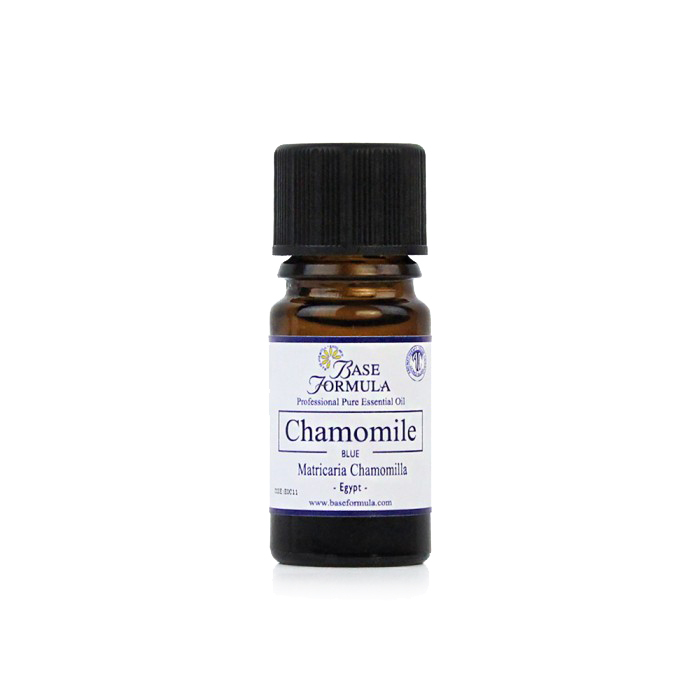 Chamazulene has powerful anti-inflammatory and skin healing properties which makes Chamomile essential oil particularly useful in treating aches and pains and allergic skin conditions. Mills (1991) also states that the compound has antispasmodic properties and can help reduce histamine-related reactions such as Hay Fever and some types of asthma and eczema. German Chamomile is an annual herb with daisy-like flowers (the essential oil is steam-distilled from the flower heads). It costs more to grow and harvest which is why Chamomile (Blue) essential oil is more expensive than Roman Chamomile. 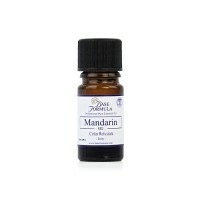 Both oils however have very similar properties. Chamomile (Blue) essential oil has strong anti-inflammatory properties that are particularly useful for allergies, rashes and irritated skin conditions including eczema. Chamomile oil has a soothing, calming and balancing effect which can be beneficial for irritability, anger, anxiety, stress and tension. Chamomile (Blue) essential oil is an excellent choice for inflammation, aches and pains - particularly for 'angry, hot, red pain', as opposed to dull pain which is more suited to Roman Chamomile. It is useful in a warm compress on the tummy to help relieve the hot, burning symptoms of cystitis and can also be beneficial for tension headaches.